As we increasingly engage with technology in our everyday lives, we don’t often realize that our actions online have consequences in the real world. In order to safely navigate the Internet, we must keep up with the ever-evolving technological landscape and anticipate potential issues. This blog explores some common pitfalls Internet users of all ages may face in the world of Web 2.0 and social media, as well as the best practices to avoid hazards that may potentially damage online and real-world relationships and reputations. 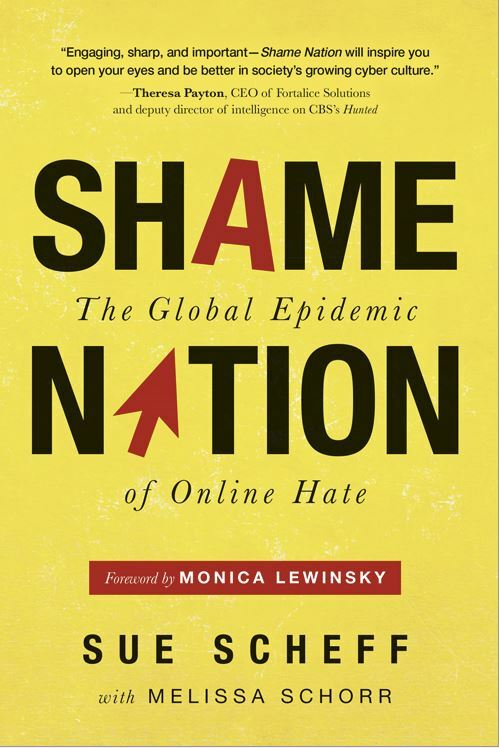 Sue Scheff’s third book, SHAME NATION: The Global Epidemic of Online Hate (Sourcebooks) is now available where all books are sold. Every day, with the thousands of tweets, post and images we mindlessly share, we are putting ourselves at risk of suffering permanent damage to our reputations, our careers, and our futures. Co-author of Google Bomb: The Untold Story of the $11.3M Verdict That Changed the Way We Use the Internet, Sue Scheff is a strong proponent of proactively protecting oneself online. 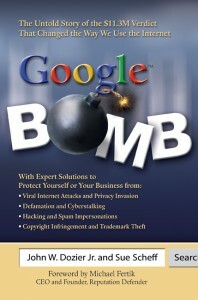 First published in 2009, Google Bomb draws from Sue Scheff’s personal experiences with online bullying, privacy invasion, and harassment, as well as the legal recourse available, to provide readers with the tools they need to protect their personal and professional reputations online. Concerned for Internet users young and old, Sue Scheff advocates awareness of cyber-bullying against persons of all ages. 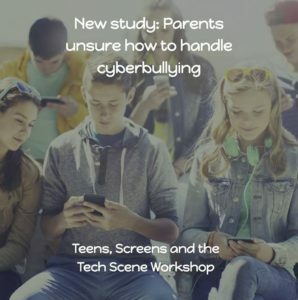 In addition to advising parents on how to keep an eye on their kids’ online activities to make sure they are conducting themselves safely and appropriately, Ms. Scheff offers adults recommendations on how to secure their online reputations and guard against defamatory cyber attacks. Her book teaches readers how to defend against, counteract, and legally address problems that arise from online defamation. Founder and President of Parents’ Universal Resource Experts Inc. (P.U.R.E.) since 2001, Sue Scheff has leveraged her personal experiences to help others before. The mother of a once struggling teen, Sue Scheff encountered several challenges in her search for a safe, effective program for her daughter. Determined to save other parents the trouble of hitting the same roadblocks she did, Sue Scheff established P.U.R.E., an advocacy organization that educates parents about the schooling and program options available to pre-teens and teenagers experiencing behavioral problems. Since its inception in 2001, P.U.R.E. has helped thousands of parents identify and select qualified, safe residential therapeutic schools and programs to help their at-risk teens. With many satisfied families, P.U.R.E. has continued to assist parents for over a decade. 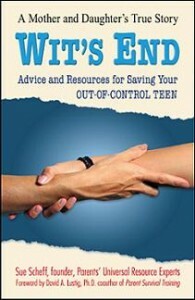 In 2008, Sue Scheff authored Wit’s End: Advice and Resources for Saving Your Out-of-Control Teen, a book chronicling her personal experiences and offering advice to broader audiences. Sue Scheff has been featured on ABC News, 20/20, Anderson Cooper, The Rachel Ray Show, Dr. Phil, CBS Nightly News with Katie Couric, Lifetime, Fox News, CBC, BBC, CNN Headline News, InSession Court TV and noted in major publications as USA Today, AARP, The Wall Street Journal, NPR, Washington Post, The Internet Ruined My Life Aftershow, Miami Herald, Forbes, Sun-Sentinel, Asian Tribune, Today Moms, CNN Living, San Francisco Chronicle, iVillage, LA Times and many more. Sue Scheff is also a contributor for Psychology Today, Huffington Post, Dr. Greene, Connect Safely, GalTime, Parenting Today’s Kids, Family Online Safety Institute, Education.com, Stop Medicine Abuse, School Family, Stop-Bullies.com, and a variety of other parenting and online safety publications. 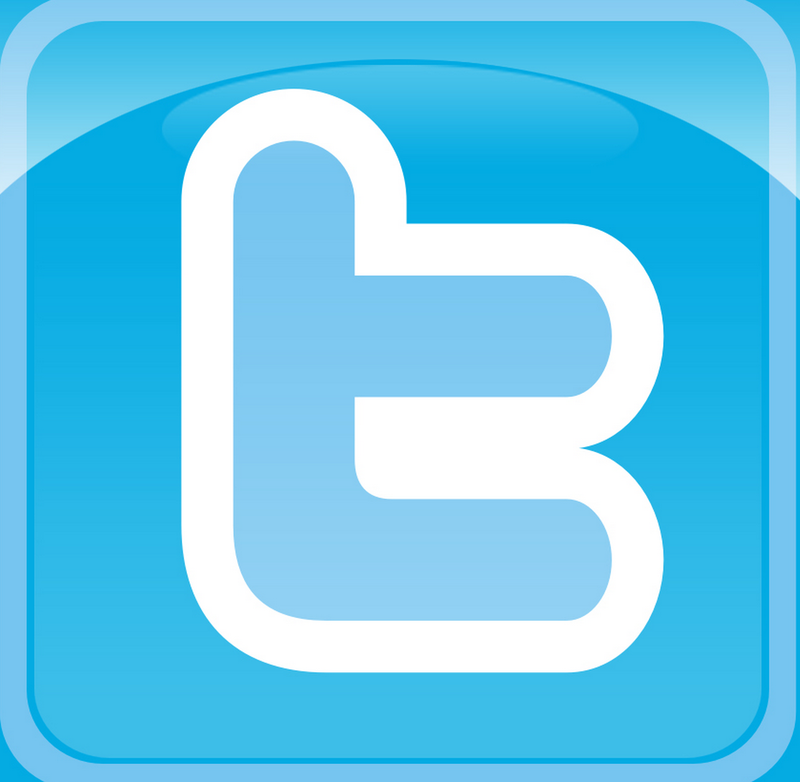 Follow her on Twitter and join her on Facebook.